A woman who gorged on fast food has turned to healthy eating and exercise and made the most incredible transformation. Elena Goodall, 29, from Queensland in Australia, was diagnosed at the age of 26 with both type 2 diabetes as well as sleep apnea, at her heaviest, she weighed 184kg and said she’d almost exclusively eat at McDonald’s and KFC. After being told she’d be dead within ten years, Elena, who by this point couldn’t even tie her own shoelaces, knew she had to do something. It wasn’t just one large meal each sitting, it was about three I would get through plus some extra chips as well. Elena opted for gastric sleeve surgery, she also changed her diet and started exercising, writes The Cairns Post. 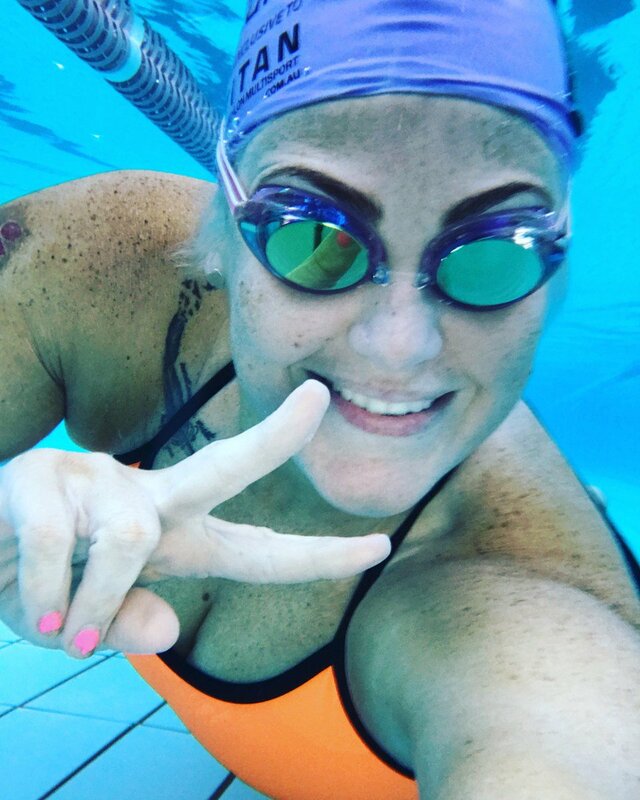 She started setting herself goals, she competed first in the Julia Creek’s Dirt n’ Dust Festival triathlon in 2016, the Noosa Triathlon last year, and she completed the Cairns Ironman 70.3… and she looks amazing. Always have a nice big fruit bowl on your bench and ditch all the unhealthy snacks in the cupboard next time you go to grab a quick snack fruit is your only option and although high in sugar it’s so much better for you than some of those highly processed snacks you may be choosing instead. Plan, plan, plan I know I harp on about planing but it’s so important plan your meals plan times where your dedicated to having a meal or a snack I HATE it when I hear people say this is all I have eaten all day and it’s 6pm at night THATS NOT GOOD FOR YOU!! and if you think it will help loose weight think again your body will start storing food if it doesn’t know when it will get food again consistency is key. They say as little as half an hour of exercise a day is a good idea, challenge yourself a little do something you usually wouldn’t, when I started on this fitness train, I actually did volleyball, it’s so much fun and tennis is another great one exercise doesn’t have to be boring, for some looking at a black line on the bottom of a pool is fun. Once you start doing it, then people will see that it’s going to happen, then they start believing in you and that pushes you as well. I had a lot of people, back in the beginning, who told me that I was crazy and I was not going to be able to do it. But I used that as fuel — that really fuelled me to get me where I am today.